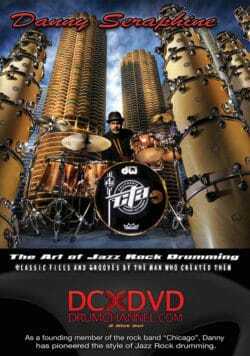 3-DVD Disc Set with over 4.5 hours of all-star drummers and musicians including Neil Peart, Terry Bozzio, Tommy Igoe, Chad Smith, John Blackwell, Nick Rich, Peter Erskine, Efrain Toro, Will Lee and Jeff Berlin. 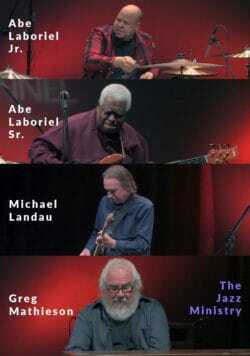 Watch this amazing tribute concert to Buddy Rich from Hammerstein Ballroom in New York’s historic Manhattan Center. 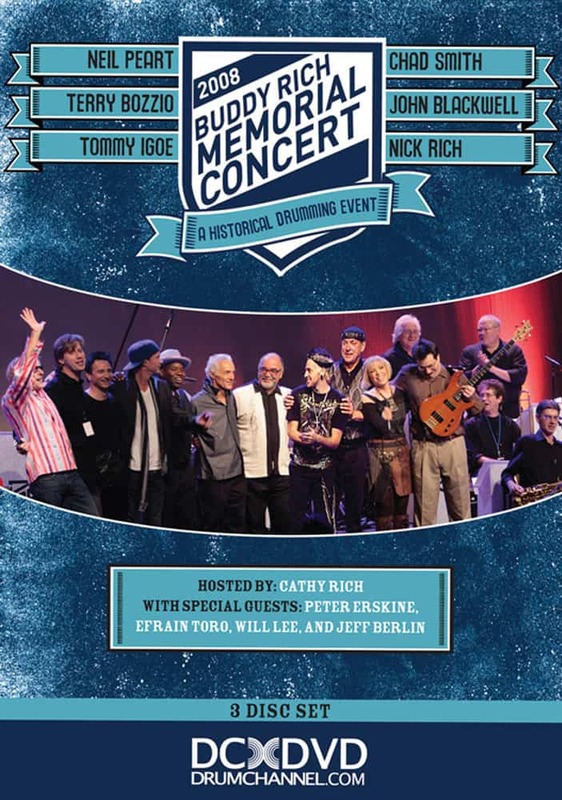 Featuring Neil Peart, Chad Smith, Tommy Igoe, John Blackwell, Terry Bozzio with Efrain Toro, Nick Rich, Peter Erskine, Will Lee, and Jeff Berlin. These artists pay tribute to Buddy Rich, one of the greatest drummers of all time. With an all-star big band, they play not only Buddy classics but also their own hits. Over two hours of concert footage, plus almost two hours of rehearsal and backstage footage memorialize this historic drumming event.